If clinics that did plastic surgery or colonoscopies inspired violent protests and vandalism, state legislators would pass laws to try and stop it. But rising violence at reproductive health clinics is tolerated. A bill to make it a crime to impede access to reproductive health clinics remains stuck in an Ohio House committee. A nearly identical bill received just one hearing in the previous legislative session. What’s That Area Code? 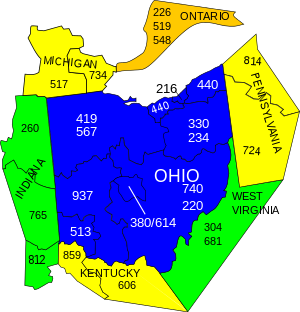 234 Is Akron – Right? First I learned about a strange and mysterious place called Area 51. Two weeks ago I learned about yet another place identified by a number. There are some things that you just can’t make up. Here’s one for the books, a happenstance that Mel Brooks or Woody Allen couldn’t imagine.